Derann have obtained prints of the first Wallace and Gromit outing on Super 8. "A Grand Day Out" should be arriving soon and we hope to be able to show a section of this reel during the morning show of the next convention 21st October 2006. Don't forget to bring your cheque book!!! Further exciting releases from Derann are expected shortly. 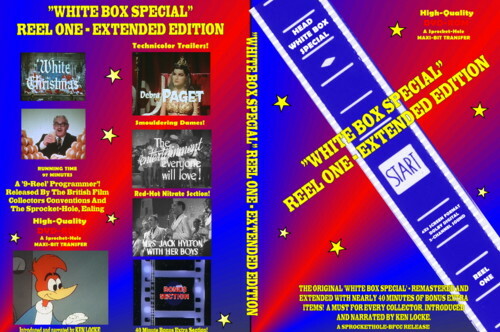 Filmtek have remastered their "White Box Special Reel 1" release. This time around the programme is released on DVD and contains approximately 40 minutes of bonus footage. To be released at the BFCC. "Men Behind the Movies part 3" is to enter production shortly. This series was originally intended for a single programme but turned into such an epic that one film did not do the subject justice. Part 3 in intended to be the conclusion of the saga and complete the history of this wonderful hobby.